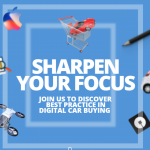 Sophus3’s first bi-annual automotive consumer analysis media briefing kicks-off at 9:30am on Tuesday 10th July in London. With 90 minutes on the clock. London, Friday July 6th 2018: According to the latest data from automotive industry analysts Sophus3, FIFA World Cup partners Hyundai and Kia have scored a memorable victory in the tournament. With a record 24.4 million television audience in the UK for England’s dramatic FIFA World Cup penalty-shoot-out victory against Colombia on Tuesday 3rd July, all eyes in automotive marketing are on the results off the pitch and on the car brand websites. And traffic to Hyundai and Kia’s websites in the build up to The Three Lions’ crucial game increased significantly. Between 6pm and the England v Colombia kick-off at 7pm – the crucial hour typically reserved for securing the best seat in the house or making the final dash for home or pub – both South Korean car brands saw significant traffic increase to their websites in the UK. Sophus3 has been analysing online car-buyer traffic to automotive websites since the time of the 2002 World Cup in Korea and Japan and in the past 16 years has pulled together an enviable automotive squad at the top of the Premiership in the world of digital analysis: every volume and premium car brand in Europe is supported by Sophus3, giving the London-based team a unique view of automotive consumer behaviour and trends. The only other car brand to see a positive move up the field and an increase in online traffic before kick-off was Citroen, matching the French football team’s improved performance as the tournament in Russia has progressed. All other car brands in Europe showed an unsurprising decline in web traffic between 6pm and 7pm last Tuesday, as most pundits would have predicted, but Fiat and Dacia proved to be the best of the rest and played off for the honour of coming third. Sophus3 is a London-based multi-national team analysing all volume and premium car brands’ web traffic in Europe, providing insight, analysis, advice, tactics and tools that enable car brands to better facilitate online consumer journeys. The company was founded in 2002 with the ambition to build a collaborative online analysis platform for car brands in order to help brands understand consumer demand and market better to consumers increasingly researching cars online. As Europe’s only automotive technology company analysing online activity on behalf of all European-based global car brands’ websites, Sophus3 provides quarterly (AMI) market reports providing a comprehensive picture of consumer online behaviour on and between car brand digital platforms, whitepapers such as the recent – “The end of the ICE age? – Digital insights into the electric vehicle buyer” – and an annual automotive insights forum and report – “The digital car buyer in numbers”.